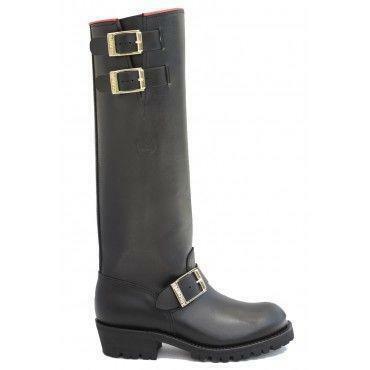 Embossy Red Engineer BOSS Boots 20"
The selected material for these boots is full grain oiled leather, plus the specific thickness provides the necessary roughness to make them resistant enough. The tractor shape sole makes them grip properly for their use in any kind of field, and even more, the inner "comfort" sole makes the rest. Embossy products are made in Spain, with high quality materials, and are Good-Year welted.